The Berkshire Ornithological Club promotes education and study of wild birds and their conservation in Berkshire. Anyone interested in birds and bird-watching is welcome: beginner or expert, local patch enthusiast or international twitcher. There is a full programme of events, with illustrated talks at the University of Reading from October to April and excursions, including overseas visits, through the year. The Club supports conservation through its small grants fund and by surveying and habitat management work in the field. We seek to collaborate with landowners, local authorities and developers to whom we can provide advice and data to help bird conservation, and with others interested in protecting the natural world. For urgent advice about birds, see our help page. Under licence from Thames Water, the Club issues permits to members for Queen Mother Reservoir, the largest area of open water in Berkshire. Currently there are no new sightings. 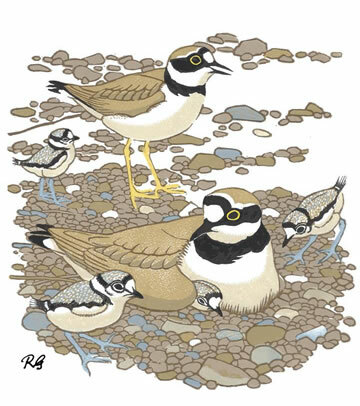 The Club publishes The Birds of Berkshire annual report, with its distinctive covers by Robert Gillmor. It includes accounts of all species recorded in the year, a photograph section, research articles and reports. The Birds of Berkshire, atlas and avifauna published in 2013 is a full revision of the avifauna based on fieldwork twenty years earlier. The 520 page, full colour, large format book provides accounts of the 328 species recorded in Berkshire, describes the changes that have occurred over the last twenty years and discusses their causes. Here, an accompanying interactive online resource allows the user to make and compare distribution maps and habitats.